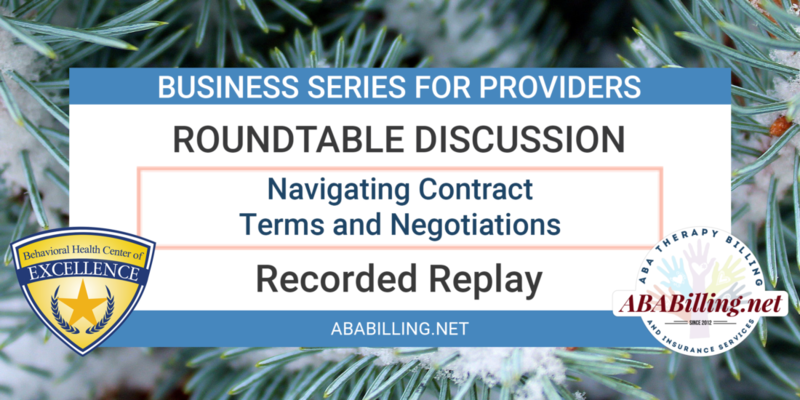 Join us for a roundtable discussion related to navigating contract terms and negotiations. Four leading industry professionals will discuss a task list of what to pay attention to during contract negotiations, the impact for evaluation of the quality of your services, examples of steps taken to navigate the preparation process for rate discussions, what to consider when understanding intent and implementation of new Category I codes, and submitting claims with your agency fee schedule. I thought that I purchased permanent access to this webinar – Negotiating contracts – but I cannot access it. Hi Deb, our records show that you do indeed have the subscription to access this webinar. Are you currently logged in?